BAM.!!! 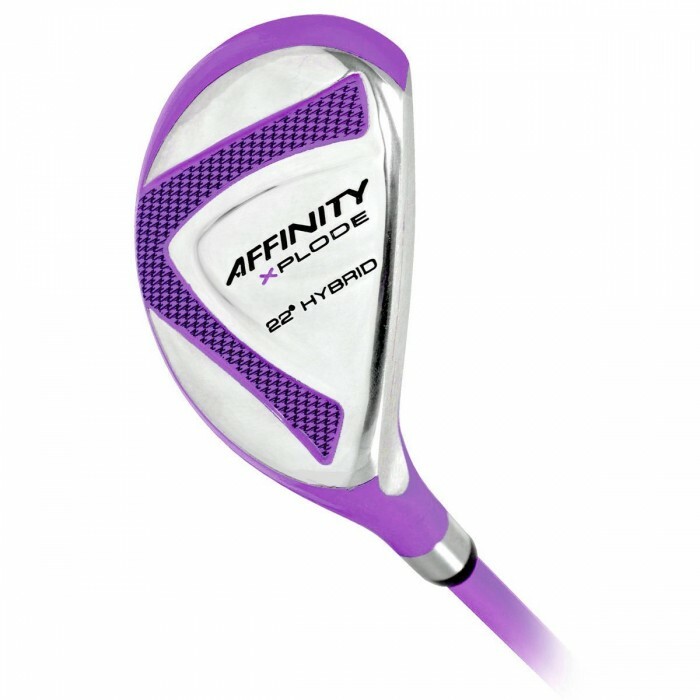 THE SAME COMPANY THAT BRINGS THE ORLIMAR GOLF CLUBS TO THE LPGA PRO'S HAS DESIGNED THE "EXPLODE LADIES EDITION"! ONLY $4.50 REE SHIPPING TO ANYWHERE IN THE CONTIGUOUS U.S.A.....WE SHIP MOST ORDERS WITHIN 24 HOURS!!! ........Yes this is a BRAND NEW set still in the factory box! 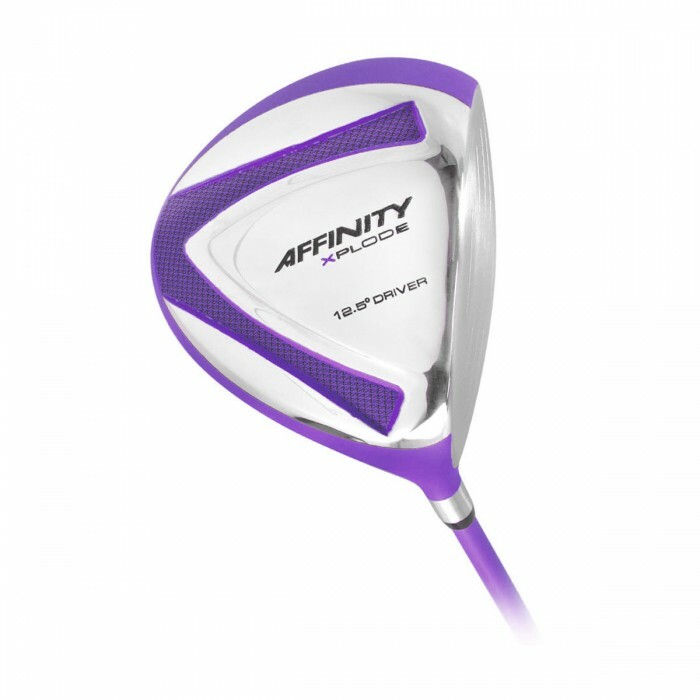 This set of Woods from AFFINITY / ORLIMAR GOLF features A LARGE OVER SIZED 460cc 7075 FORGED DRIVER with a 12.5 degree loft to make it easy to get nice height on your drives The Oversize head creates a 30% larger "sweet spot" and up to an extra 30 yards on every drive! 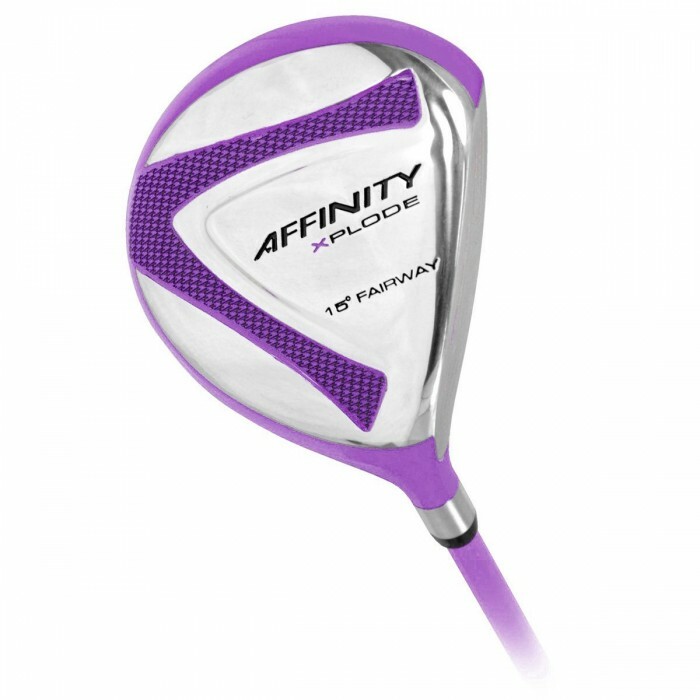 ABSTRACT: The Ladies' Affinity XPLODE Driver has a 460cc head which incorporates an aerodynamic shape for increased swing speed. An enlarged sweet spot encourages longer drives and provides more forgiveness. The Livewire graphite shaft with a ladies flex was built with the priority of creating a maximum amount of club head speed. 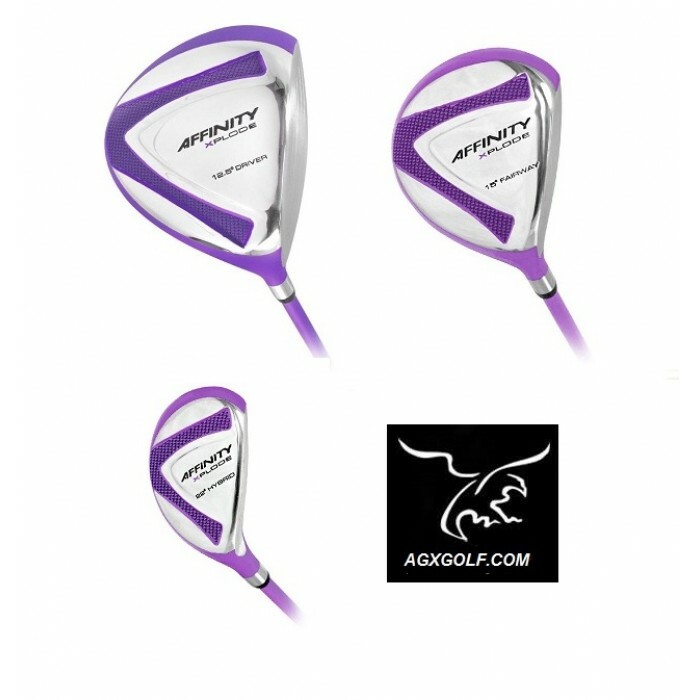 The Ladies' Affinity XPLODE bright color, fused with it's 12.5-degree loft make it the perfect driver for any women trying to find a fun, exceptional driver and woods set at a reasonable price. All in all, a very Elegant set of golf clubs Woods!! 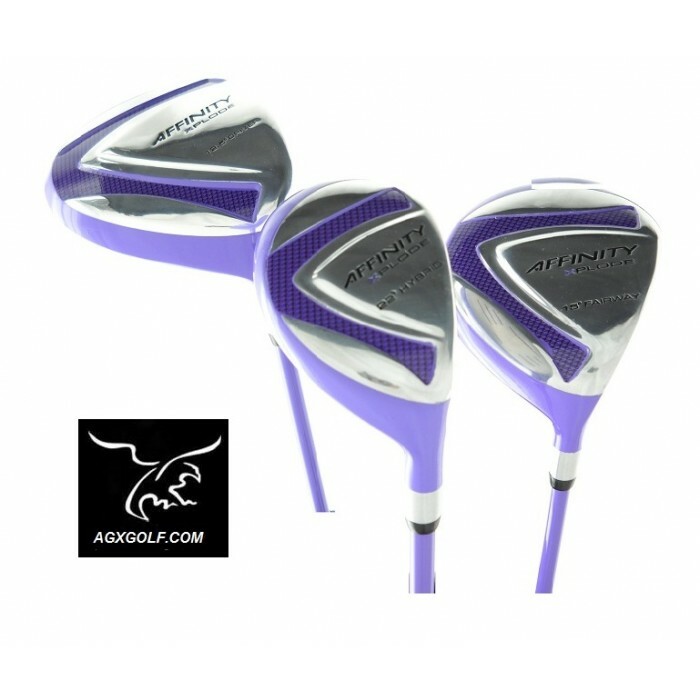 This LADIES EDITION set was Tastefully designed with the LADY golfer in mind and with the latest technology. The "XPLODE LADIES EDITION WOODS SET" is a great UP-GRADE for the intermediate golfer as well as beginners. The oversize clubs are great confidence builders by providing excellent forgiveness on miss-hit shots. DRIVER; (12.5*) with 460cc OVER SIZED HEAD for maximum distance and larger "sweet spot"
#4 HYBRID Fairway Iron (22*), for those LONG PIN SHOTS and a real "life saver" for those longer fairway shots. THIS LISTING IS FOR A LADIES RIGHT HAND WOODS SET: NOT SURE OF YOUR SIZE?